Mumbai: The government wants doctors to prescribe cheaper generic drugs which will be available at the Jan Aushadhi stores across the country. The government will soon add around 300 more Jan Aushadhi stores, to take their numbers to around 3,000 by December. 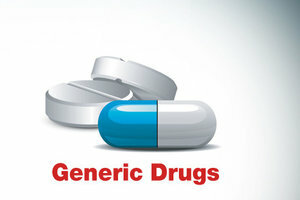 “Generic drugs for one and all are the need of the hour and we are glad to begin the same in Maharashtra. This will be a revolutionary step in healthcare and we will also urge doctors to prescribe generic drugs. This will help people save money and bring relief to them,” Union Minister of State for Social Justice and Empowerment, Ramdas Athawale said at workshop on Jan Aushdhi here today. Under the ‘Pradhan Mantri Jan Aushadhi Yojana’, a total of 3,000 stores will be opened by December this year, which will provide quality drugs at affordable prices, the minister said. At present, about 2,700 Jan Aushadhi ‘Kendras’ are providing affordable medicines to the people. These stores are in 426 districts across 30 states and Union territories. Only 80 centers were opened between 2008 and 2014.